*NOTE: Joan had a fever as a child, possibly meningitis, and lived a life with some degree of mental and emotional handicap. There are references to her in letters from relatives celebrating the fact that she can finally walk and talk. I never met Charlie MOORHEAD, but Jeannie MOORHEAD was a phenomenal woman. I knew her personally only at the end of her life. 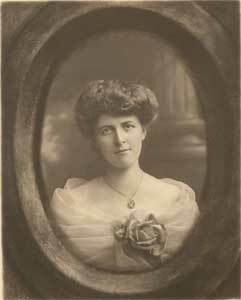 She was the daughter of Andrew Coulter Bradford JACKSON, a brother of Sir Thomas JACKSON. She was also a cousin of my grandfather and a close friend of my grandmother. She was born when her family lived at Fostertown, (or “Forstertown”) Trim, Co. Meath and as a student, studied in Berne, Switzerland. She and her husband Charlie MOORHEAD were married in Vancouver and from there proceeded to Alberni - which would have been a rough scrabble logging town at the time. I don't get the feeling that she shied from adventure! From there, they moved to the considerably more comfortable neighbourhood of Oak Bay, Victoria. She went back to Ireland frequently - one long stint while her husband was serving in WWI; another long stint while caring for the children of her brother Thomas Dare JACKSON whose wife Mary McCULLAGH had died in 1932, two days after giving birth to her youngest son. It was during this time that she injured her back, an injury which would plague her for the rest of her life. 1914 - Jeannie stayed with her mother while Charlie was at war. (See photo below in Belfast) SOURCE: L.H. Kennedy letter. 1914 - her address was given as: C/O Carmichael & Moorhead. This would be in Victoria. 1956 - 199 Nelson Street, Vancouver. One of a series of boarding houses which she lived in. Moorhead house in Oak Bay. Jeannie with Joan and Harold in Belfast 1914. Jeannie lived to be 97 years old and lived independently all but the last few years of her life - after a fall when she broke a hip. I remember when I was in my late teens visiting her and she was blind by then. She asked me to get a couple of glasses out of her closet and a bottle of sherry and then insisted on pouring, putting her index finger just inside the glass so she would know when it was filled. Then she asked me to name things in the room so she could tell me when each item was invented. The zipper. Nylon curtains. Synthetic carpet. Spring coil mattresses. Safety pins. She had a brilliant mind and one that forgot nothing. Were she still alive today, we would be miles ahead in all of this family history stuff. Regrettably, I never thought to ask her back then. My father had a more interesting life than most. He started to work as a bank clerk, possibly at the age of 15 or 16. He met my mother when she was visiting relatives at Crossmagalen. In about 1902, he answered an advertisement for bank clerks in South Africa and was sent to Durban. He had a very good life there. In early 1906, the natives rebelled against paying head tax to the English authorities and troops were called out. A number of local volunteer regiments were recruited, among them the Natal Mounted Rifles which my father joined. The campaign consisted of roaming the searching out rebellious native concentrations and disbursing them with the maximum loss of Zulu lives. Many of those captured were found guilty of treason and executed. It was a very one sided affair. The whole thing was over by October 1906 when he was demobilized. He had had several bouts of malaria during his stay in South Africa and as a result was shipped back to Ireland. En route home, his ship ran into the Lizard Rocks off the south west coast of England. I believe the ship was a total loss but most of not all of the passengers were saved. He did not stay in Ireland but went to the United States where he stayed with two of his brothers as he beat his way across the USA working as a telegrapher (he had learned the Morse Code during his career as a trooper in the Natal Mounted Rifles). Somehow or other, he reached Victoria. Based upon his wide experience, he teamed up with a man called Alfred Carmichael who was a real promoter and in no time, they had a contract to clear the right of way for the Esquimalt and Nanaimo Railway from Parksville to Port Alberni. This was very rough mountainous heavily forested country. How two greenhorns from Britain could handle a job like this or why they ever got the contract is a mystery. There was a fabulous real estate boom going on in BC at this time and Carmichael and Moorhead got into this and in no time at all were quite well off. In September 1908 he sent for Jane Jackson to come out and marry him. 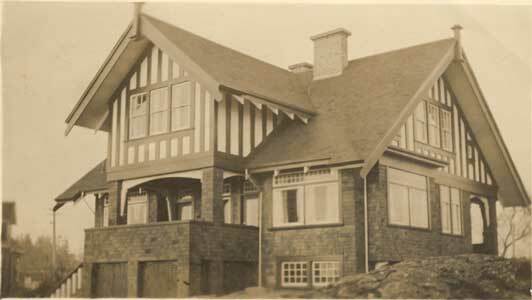 They lived in Port Alberni for a while and then moved to Victoria where they built a large house in Oak Bay and bought a car which was a sure sign of affluence in those days. By 1913, the boom burst and in 1914 my father was called up for World War I. 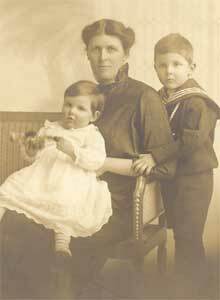 Mother, my sister and I went to Ireland early in 1915 to stay with her parents on the family farm Fostertown near Trim in County Meath. In 1916, my father was gassed in France and invalided to England. He then got a nice easy job on the staff in London. The rest of us went over to join him where we lived in a series of rented houses till he was shipped back to Canada. An amazing thing about life in the colonies (at least in Victoria) was that after the family had settled in Victoria they made friends with a bunch of Englishmen who were in the 88th Fusiliers. They prevailed upon my father to join the militia regiment and on the basis of his wide experience (6-8 months chasing a bunch of natives across the African veldt), they made him an officer. He also needed to become a Notary Public in connection with his real estate business so he got hold of one of his cronies who asked if her knew how to transfer title of a bottle of scotch from the examinee to the examiner. My father drew up some form of document whereupon he was declared competent to be a Notary and the transferred scotch was consumed by the parties to the transaction. The real estate boom blew up in 1913. We seemed to have survived this although a lot of people lost a great deal which is typical of real estate booms. Among the reliable and well managed business concerns of Victoria is that of Carmichael & Moorhead Ltd., and among the important factors in the promotion of the substantial growth of the business it controls is numbered Charles Andrews Moorhead, who has been director since 1907 and is a son of Robert and Isabel D. (Moore) Moorhead, representatives of well known Irish families, the father being an extensive landowner in Donegal. Charles Andrews Moorhead acquired his education in the public schools of Ireland and after laying aside his books entered the Belfast Bank in Belfast remaining connected to that institution for seven years thereafter. 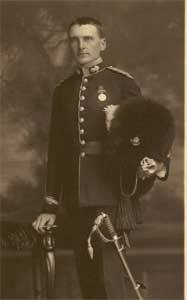 At the end of that time he went to Africa, where he took part in the Zulu rebellion, serving with the Natal Mounted Rifles and becoming afterward signalling officer of the Scottish Horse. After coming to Victoia he became connected with the Eighty-eighth Victoria Fusiliers of which he is now serving as captain. Mr. Moorhead arrived in this city in 1907 and in the same year formed a partnership with Alfred Carmichael under the firm name of Carmichael and Moorhead, financial agents. In 1909 the business was made into a limited concern and before and since that time it has grown rapidly so that the partners control today one of the leading enterprises of this kind in the city. The company acts as general financial agent and represents the Alberni Land Company Ltd., of London, England and other equally important concerns. Mr. Moorhead’s energy and enterprise have been important factors in the success of the business, of which he is now a director, a position which calls for discrimination, tact and executive ability and the duties of which he is eminently well qualified to fill. On the 10th of September, 1908 in Vancouver, Mr. Moorhead was united in marriage to Miss Jeannie Coulter Jackson, a daughter of Andrew and Emily (Coulter) Jackson and a niece of Sir Thomas Jackson, baronet, now general manager of the Hongkong Shanghai Bank of London. Mr. And Mrs. Moorhead have become the parents of two children, Harold Parker Jackson and Joan Isabel. Mr, Moorhead is a member of the Anglican church and gives his political allegiance to the conservative party. He belongs to the Junior Army and Navy Club of London, England and the Union Club of Victoria, and he is well known in social circles of his city. Business men respect him for his ability, his integrity and his straighforward methods of dealing and count him a valued force in the promotion of general business development. - Add data from schooling for Jeannie & letters and such. - NOTE: Oak Bay Beach Hotel was owned by Carmichael.